Photos of my purple sprouting broccoli plants, and eventually, of some purple sprouting broccoli. Despite the snails and cabbage white caterpillars trying to eat the leaves, my Purple Sprouting Broccoli plants are getting bigger. 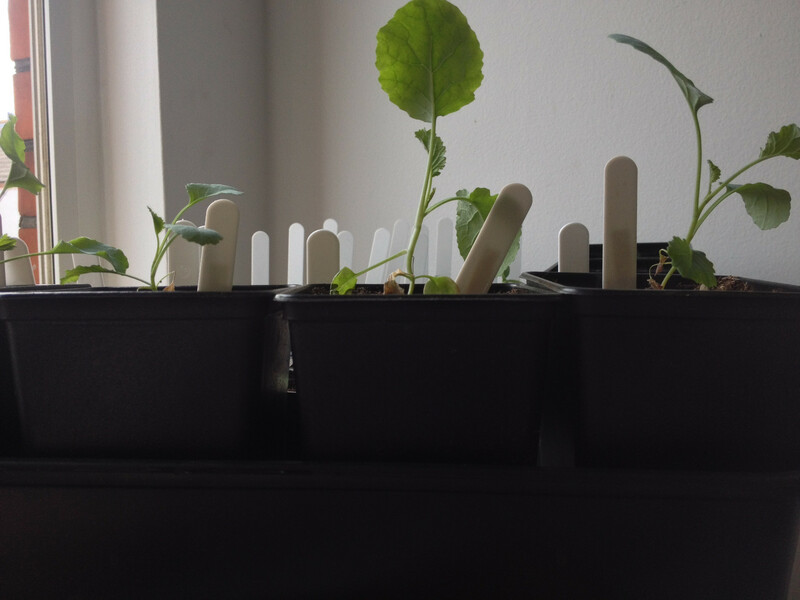 3 of the 4 plants aren't growing straight, possibly due to damping off when they were young seedlings. 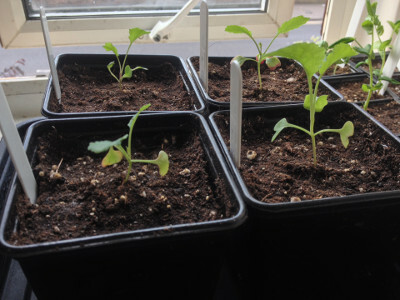 Early and Late purple sprouting broccoli plants in 5.7 litre square pots. 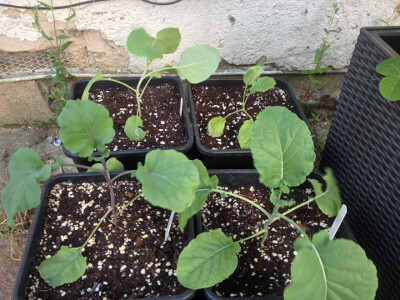 Three slowly growing Late purple sprouting broccoli seedings. A slowly growing Early purple sprouting broccoli seedling. The only Early purple sprouting broccoli seeding to grow from a second sowing is slowly growing. 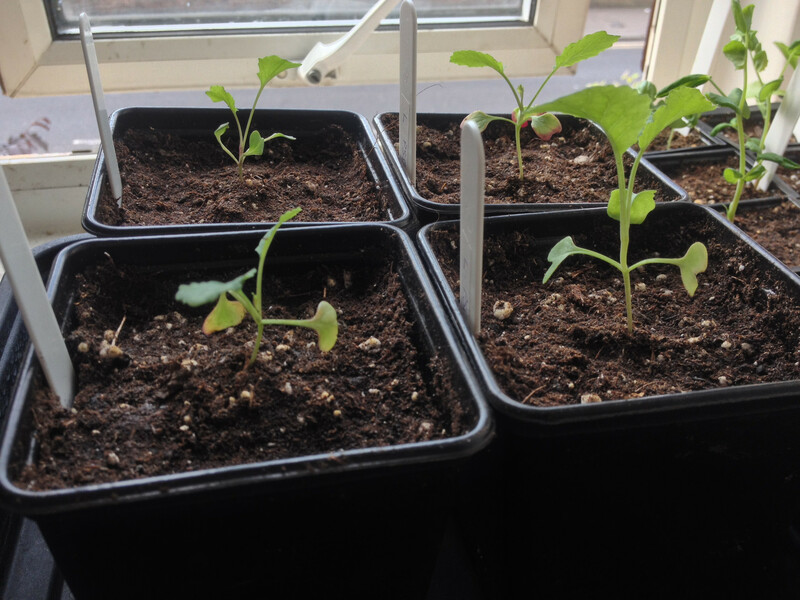 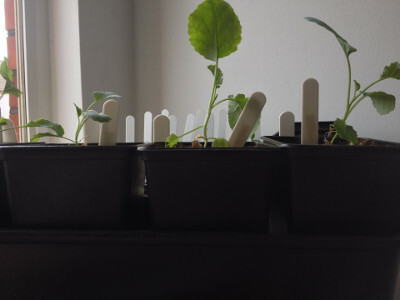 An early purple sprouting broccoli seedling (front left) and three late purple sprouting broccoli seedings potted up. 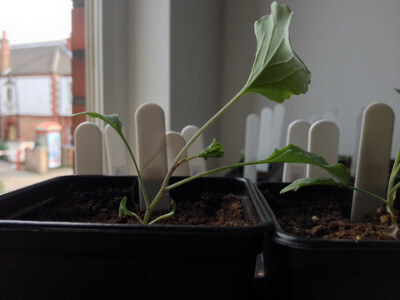 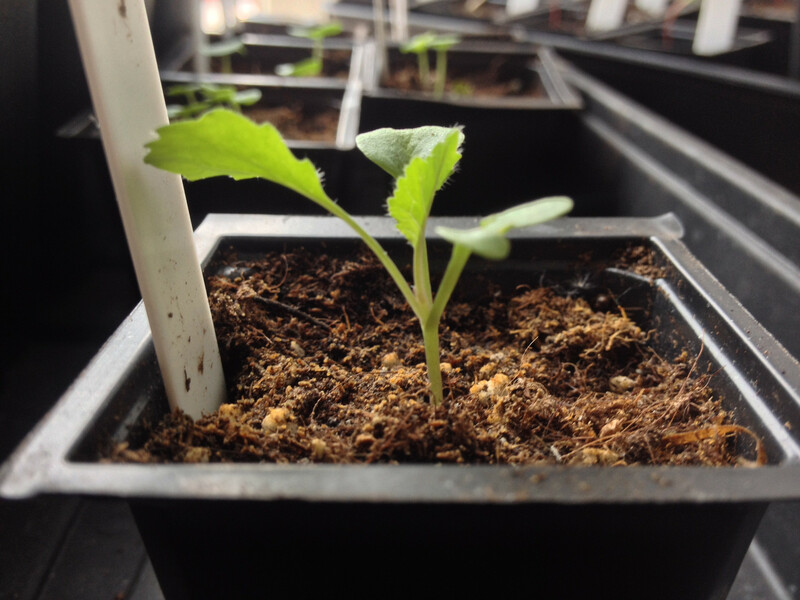 An early purple sprouting broccoli seedling has some true leaves. 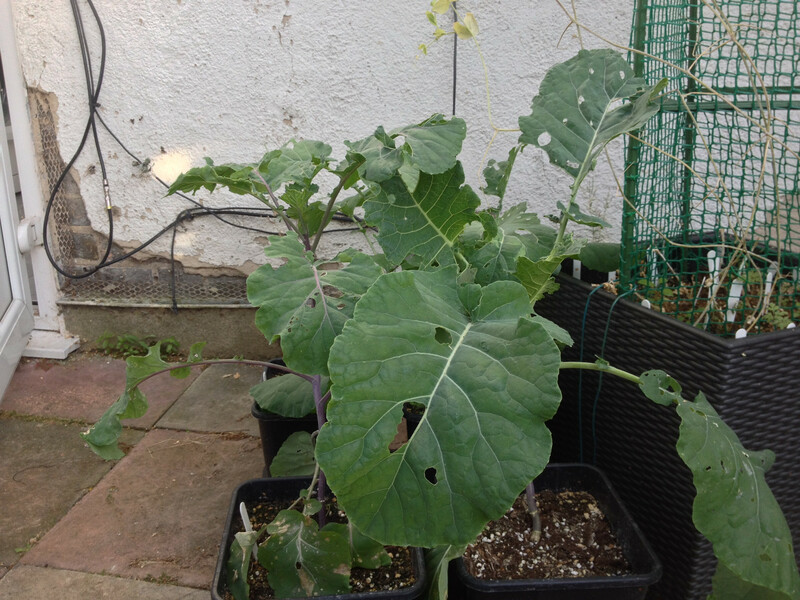 Late purple sprouting broccoli seedlings have some true leaves. 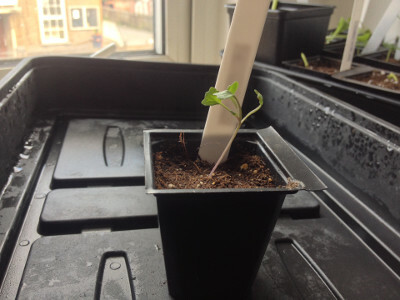 Fallen over due to stem damage. 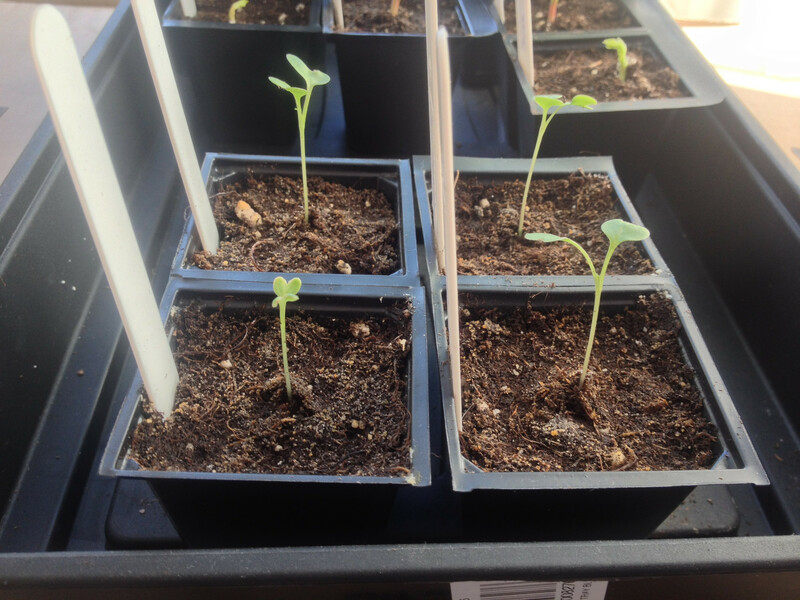 Some late purple sprouting broccoli seedlings are growing. One of the early variety is too (front left). 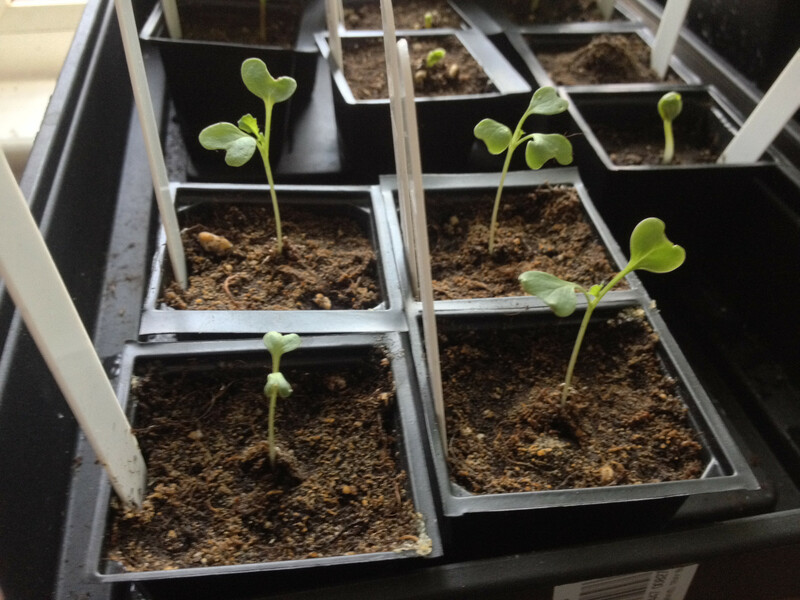 The cotyledons of some late purple sprouting broccoli seeds are growing. 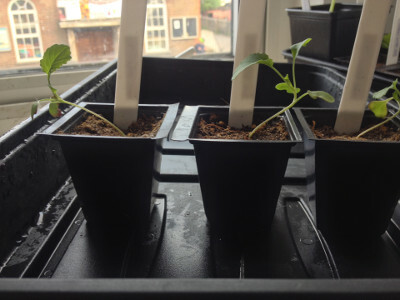 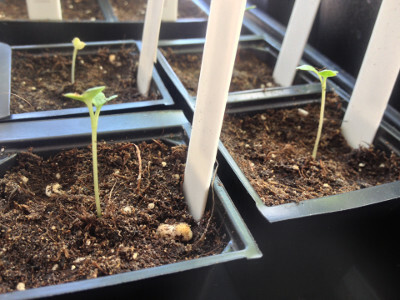 One of the early variety has also sprouted (left, second pot from front). Posted by John Cook on Thursday, 5th May 2016 . Last updated on Tuesday, 30th August 2016 .